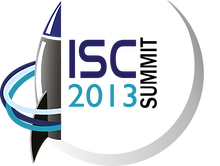 The International Space Commerce Summit launches in London in October 2013. Global organizer of high-profile summits, IRN ( International Research Networks ), is pleased to announce the launch of the International Space Commerce Summit 2013 which will take place on 29th-30th October 2013 in London, UK and is designed as a senior-level meeting. The first edition of the series will focus on the commercial development of space with particular emphasis on connecting public and private bodies to discuss the way forward for commercial activity in space. With the commercial space sector accounting for nearly three quarters of the space economy, it is important to clarify solutions to the challenges that arise with increased commercial activity in space. The first day of the comprehensive two day program will take a look at the regulatory frameworks that will impact commercial space travel and the legal issues prevailing from increased activity in space. It will also investigate additional requirements for developing the space industry such as financing avenues, the need for additional utilities and reducing the cost of space transportation vehicles. The second day will focus on the direction of market growth in relation to commercial space travel and will give examples of business models from companies already operating in the industry. It will also cover topics such as the infrastructure required to support the industry, property rights surrounding mining, and the insurance challenges that a high-net industry entails. The Summit aims to provide in-depth discussion and collaboration between the governing bodies, innovators and suppliers of the international space industry by connecting the decision-makers who can influence the way forward for commercial activity in space. More information for the summit can be found online at Space Commerce Summit , and for everyday updates you can follow IRN on Twitter @IRN_Space and join the LinkedIn Group ‘International Space Network’.